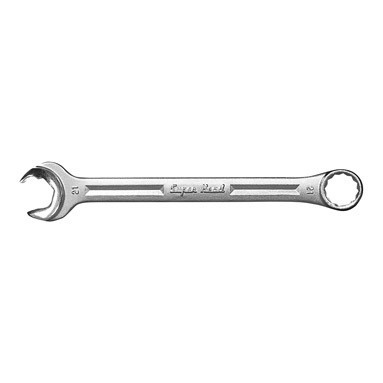 Priory 21mm combination spanner - ideal for scaffolders. Made of plated steel. 26cm in length. Open end is "easy-adjust" with an added groove so you don't have to fully take the spanner off the nut when turning.